Do you represent a South Carolina State Government Agency and wondering how you should archive all your web and social media content? Are you trying to determine what you need to do both from a legal and a technical point of view? Here’s a guide to the different Laws and processes you should follow. What Laws govern Records Management in the State of South Carolina? South Carolina Freedom of Information Act (SC FOIA) governs Open Records in the State of South Carolina. 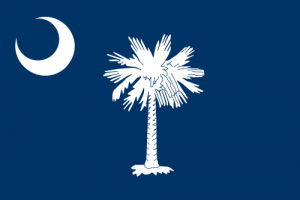 Do South Carolina State Records Laws include Website and Social Media content? Yes they do. NARA state that it is a “[P]ublic expectation that all web content is both permanently valuable and accessible” – and so social media and web records are subject to these standards as well as the relevant metadata being pertinent to these laws. Agencies must treat social media postings that fall within the definition of public records within SC FOIA just like other official communications. Law also states that if an instant message is “prepared, owned, used, in the possession of, or retained by a public body” it is by definition a public record. S.C. Code Ann. § 30-4-20(c). Case Law – City of Greenville. The City of Greenville, South Carolina has established standards and guidelines for dealing with open records, website and social media content. In the interest of open information, public interest and interaction, comments on their social media accounts (Facebook Twitter etc) are deemed matters of public interest and so they reserve right to retain records of current and deleted comments. Pursuant to SC FOIA; ““Agency” means any state department, agency, or institution whilst “Public body” means “any department of the State, any state board, commission, agency, and authority, any public or governmental body or political subdivision of the State….supported in whole or in part by public funds or expending public funds, including committees, subcommittees, advisory committees, and the like of any such body by whatever name known…”. Both are subject the SC FOIA provisions. S.C Code Ann §30-1-70 states that the chief administrative officer of an agency (“legal custodian of records” has the duty to protect and archive public records against any form of loss or destruction, lest they be transferred for retention or disposal subject to these provisions and retention schedules. This must be enforced by way of “efficient and economical management methods” with proper preservation methods established and administered by the Agency. Websites must be retained in their original format: HTML, CSS, PDF etc. It must be both convenient and practical for use by the public if it is equally convenient for the public body to provide the records in the requested form. S.C. Code Ann. § 30-4-30(b). How can we transfer website archives made with PageFreezer to the South Carolina State Digital Archives? PageFreezer exports all data on request in the original file format including the required metadata. This data set can be transferred by FTP or by other means to the South Carolina State or Agency Digital Archives.